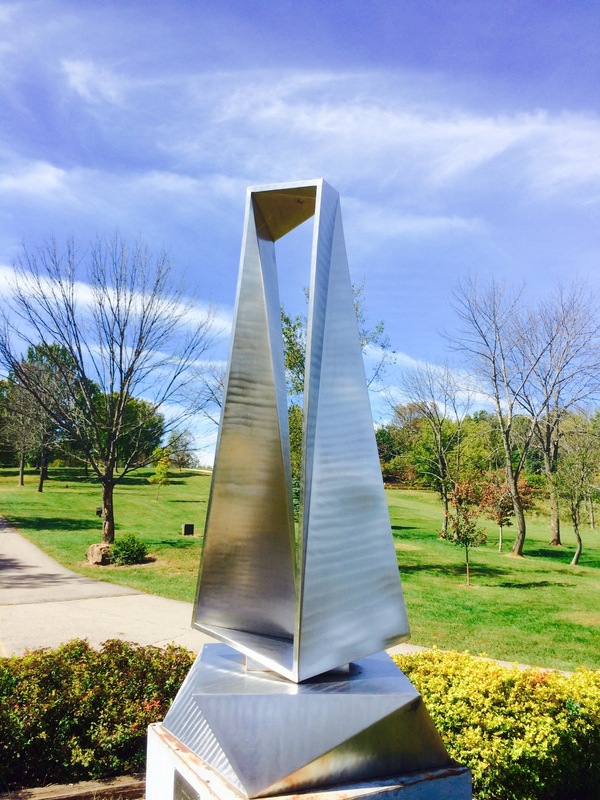 Pyramid Hill Sculpture Park + Museum – Go There. Try That. 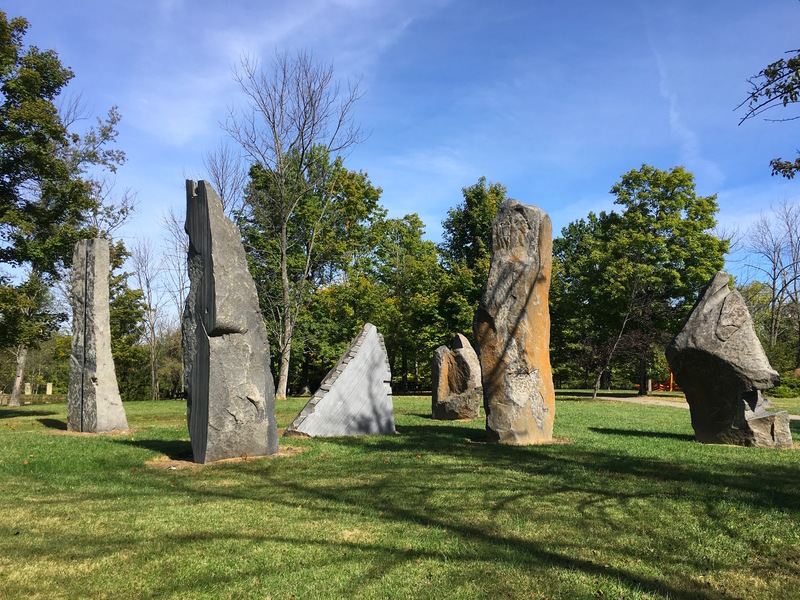 Located in Hamilton, OH, Pyramid Hill Sculpture Park is an alluring blend of nature and art. 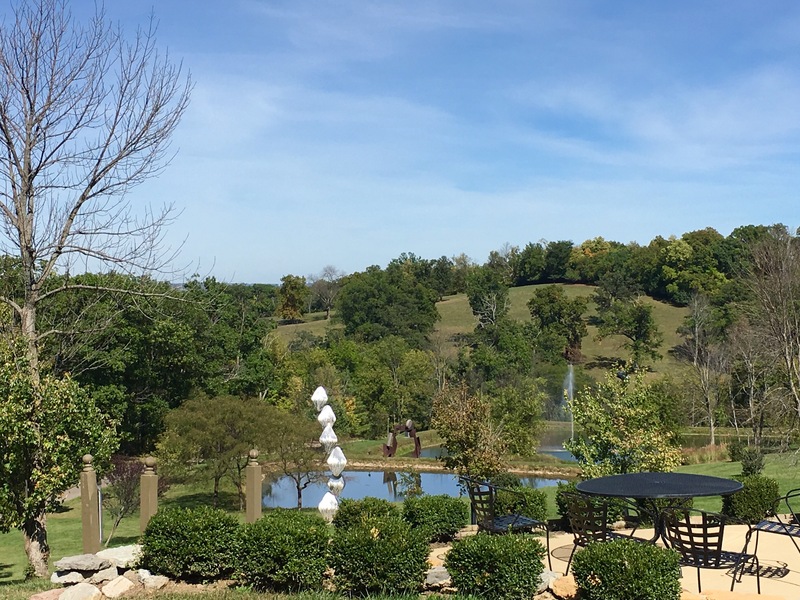 This is an outdoor museum on a beautiful piece of property with plenty of trees, rolling hills, gardens, and a pond or two. There are a few options for traveling through the park; my favorite option is to rent a golf cart! I don’t play golf, but I find driving these so exciting! Seriously. My dream is to have one and drive it around my neighborhood. No joke! On a sunny day, taking one of these carts out is perfect. 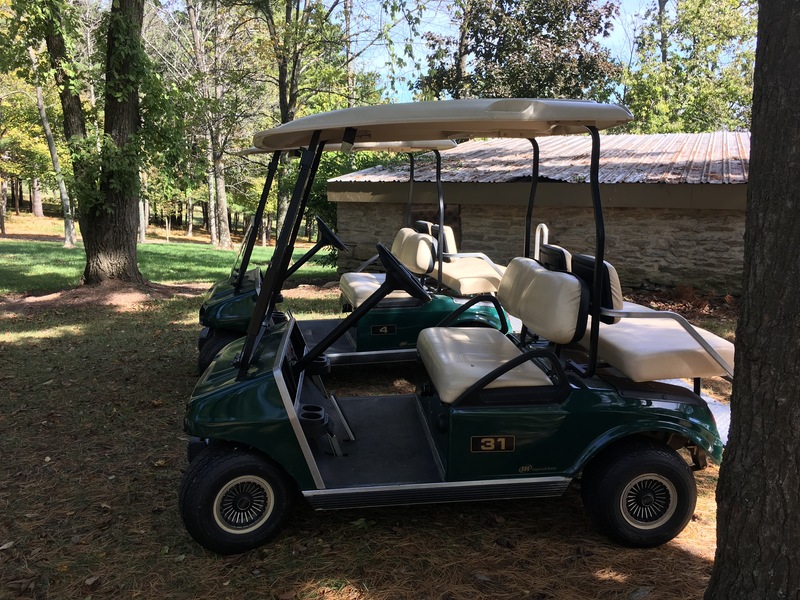 You can rent a golf cart: $20 for the first hour and $15 each addition hour. If you want the experience of the cart, which I highly recommend, but want to save money, rent the cart for an hour, use the map to navigate, and then, when the hour is up, pick up your car to see the part of the park you missed in that first hour. Another option is to drive around in your vehicle and get out at designated parking places and walk around. 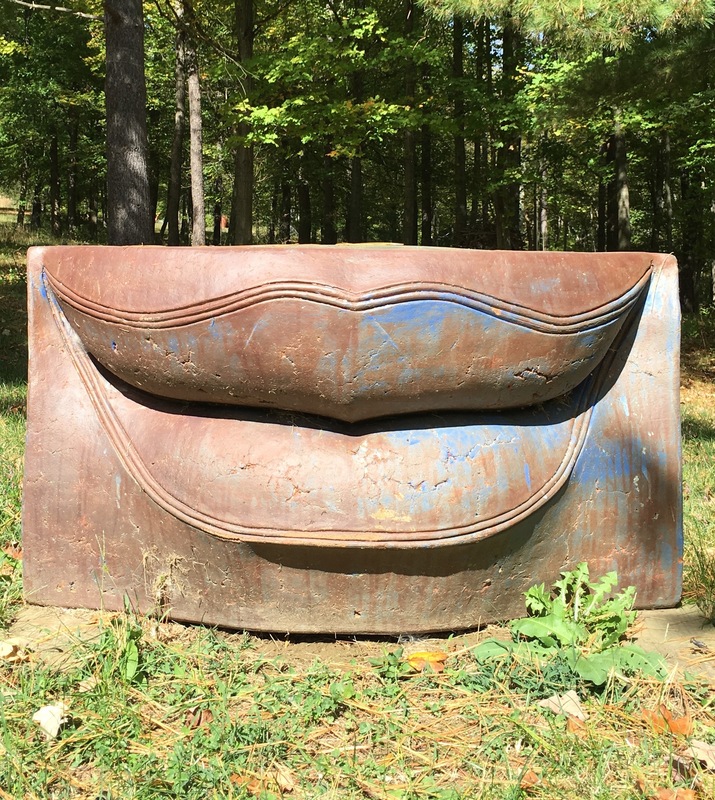 You’re encouraged to walk right up to the sculptures. Or, if you have plenty of time and energy, you can simply walk everywhere. But, beware, there are some steep hills! Part of what makes this place amazing is the marriage of art and nature. 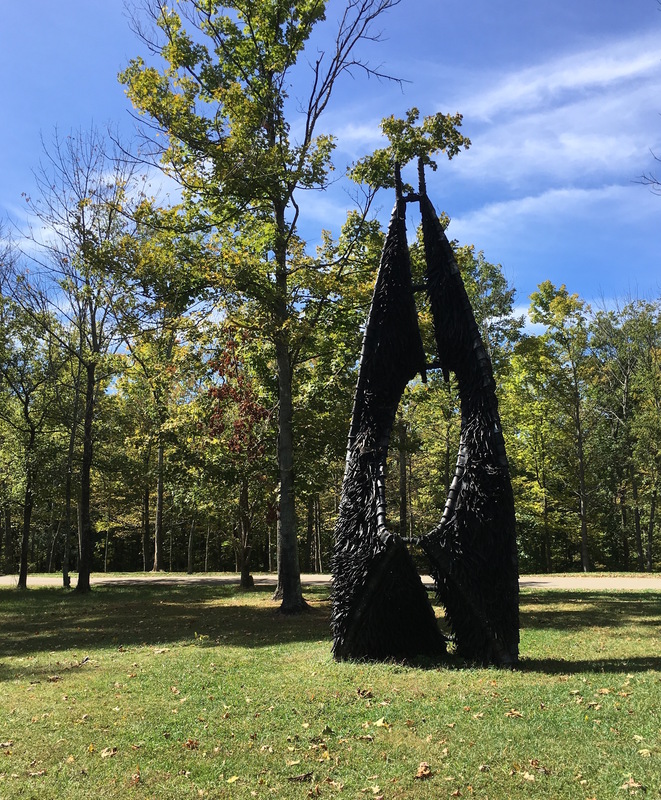 Trees, rolling hills, sculptures…when the sun is shining, you can’t beat it. Remind anyone of the Standing Stones at Craigh na Dun? Outlander fans? This is the first time we’ve been in autumn and the smell of the trees and the leaves coupled with the cool breeze was absolutely perfect. I’ve also been in late spring when the flowers were blooming and that was gorgeous as well. If you’re a hiker, there are trails available! I don’t have any first hand knowledge of the trails, but I’m certain it would add to the experience. Within the park there is a gorgeous overlook with several tables and chairs; it’s a spot to sit and relax, or eat a picnic lunch. Dogs are welcome as long as they are on leashes. Beautiful spot for a picnic lunch. Admission to the park costs $8.00 for adults and $3.00 for children. Kids under 5 get in free. There’s also a museum with ancient sculptures featuring Greek, Roman, and Egyptian artifacts. The museum, which is open 12-5 daily, is an interesting juxtaposition to the very modern art in the park. 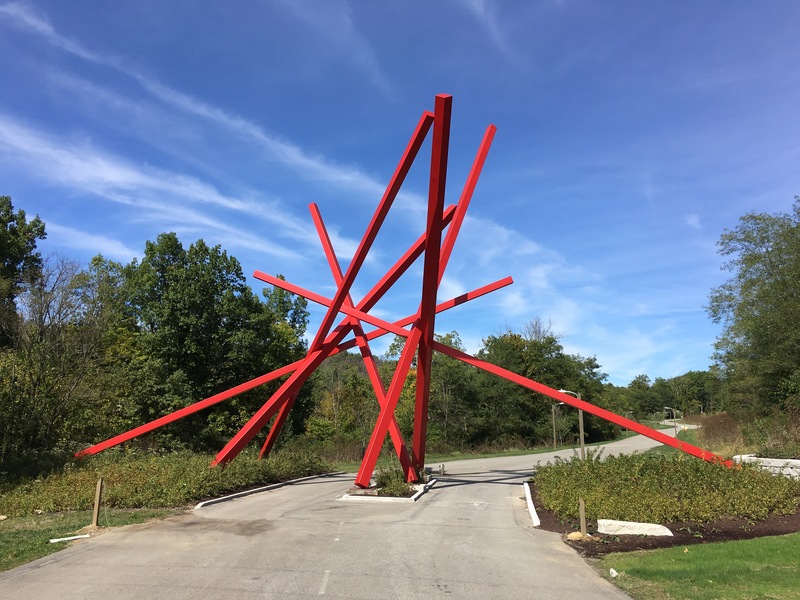 Check out the website to learn more about the indoor and outdoor galleries! 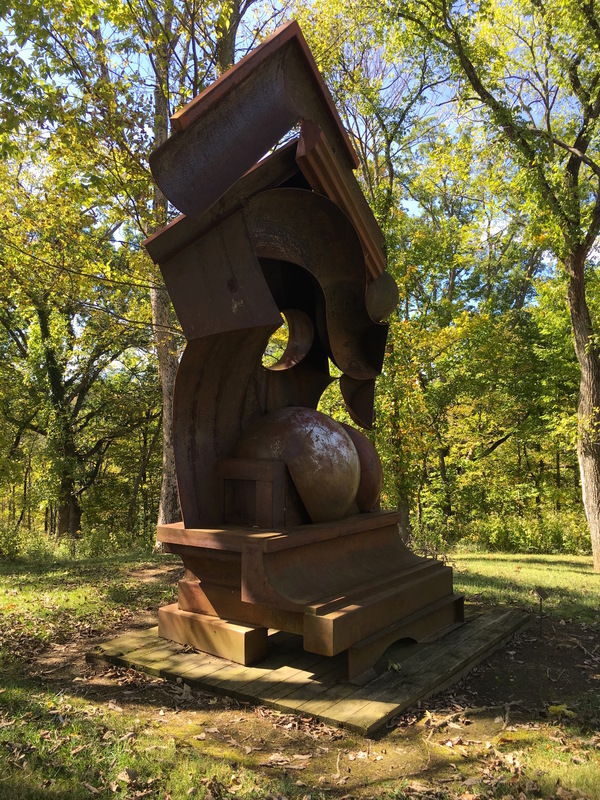 Some of the sculptures are newer than others, some of the exhibits rotate, and some are a bit weathered by time, but overall, the park is serene and peaceful. It’s a refreshing respite from the stressors of daily life! Although, my husband would probably argue that riding in a golf cart with me behind the wheel is neither calming nor peaceful; it is, however, crazy and full of laughter! And those are precious moments, too! 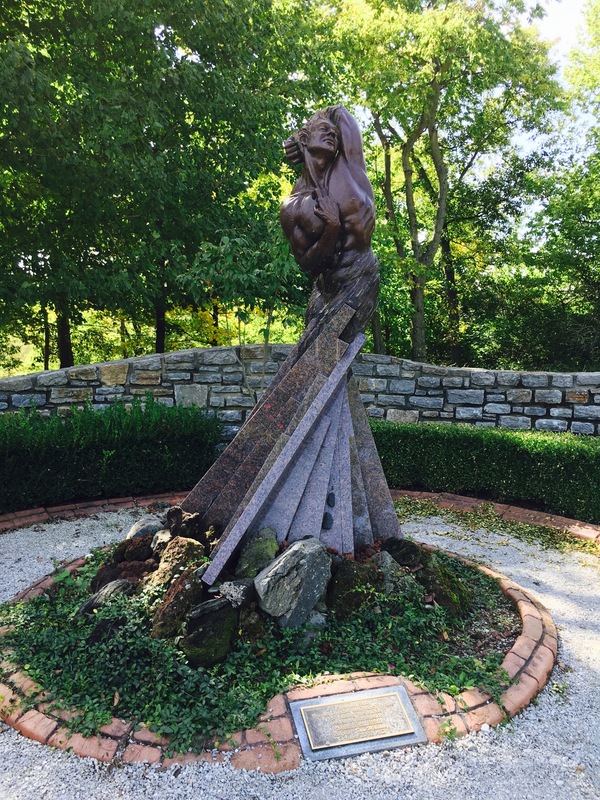 I am a huge advocate of exploring all this incredible city of Cincinnati has to offer and I never get tired of new experiences! GO THERE (Pyramid Hill)! 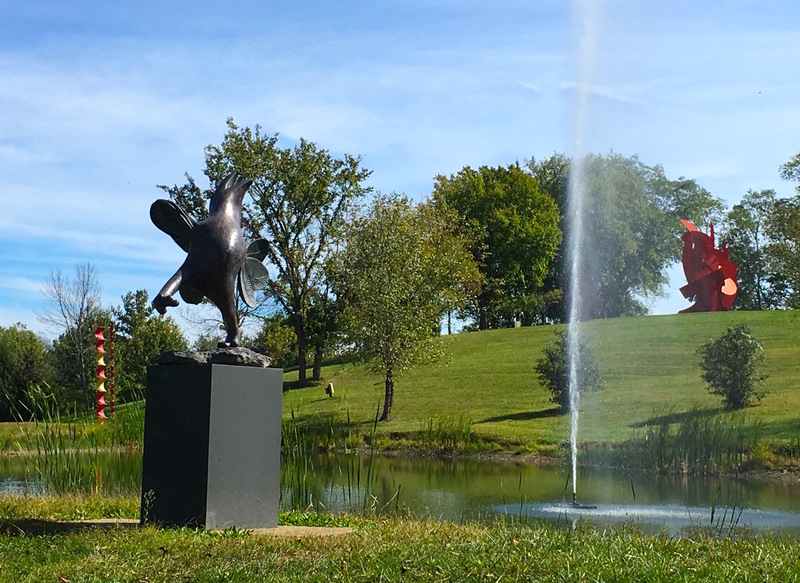 TRY THAT (Rent a golf cart, spend the afternoon enjoying art and nature)! I would love to take you! Holiday Lights on the Hill (Pyramid Hill) | Go There. Try That.Go There. Try That.